CAN Council Great Lakes Bay Region participates in more than 150 community events each year in Arenac, Bay and Saginaw counties. We provide materials and information about our programs and services and on how to keep your children safe. To request CAN Council literature and/or to schedule a presentation by a staff member at your next community event, please contact our office in your county. The CAN Council can provide your business or organization with a speaker to talk about our programs that affect the children in our community. To learn more, please visit our “Community & Professional Development Programs” webpage. In 1983, President Ronald Reagan proclaimed April to be the first National Child Abuse Prevention Month. This is a time to both acknowledge the importance of families and communities working together to prevent child abuse and neglect and promote the social and emotional well-being of children and families. During the month of April and throughout the year, communities are encouraged to share child abuse and neglect prevention and awareness strategies, host activities, and promote prevention across the country. 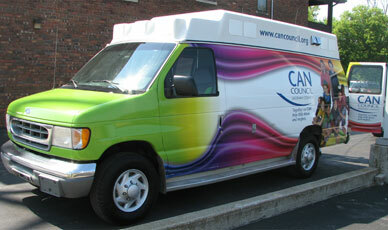 To learn about CAN Council activities in your community, please give us call: (989) 752-7226. 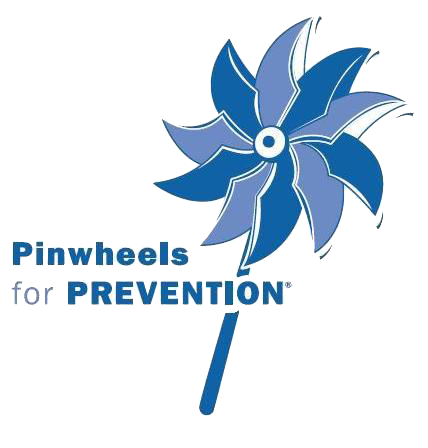 In 2008, Prevent Child Abuse America introduced the pinwheel as the national symbol for child abuse prevention through Pinwheels for Prevention®. Research showed that children respond positively to the pinwheel, and it represents the great childhood memories that we want all children to have. Please contact us to request a pinwheel garden for your place of business or to see how you can be involved during the month of April.